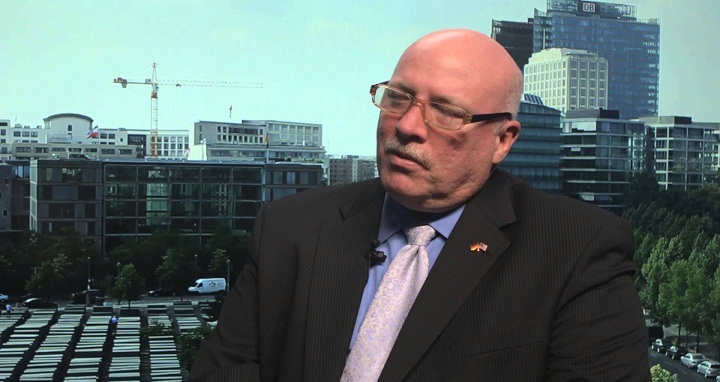 Dhaka, 28 June, Abnews: The US ambassador to Estonia is resigning, reportedly in frustration at remarks made by President Donald Trump about America's European allies. James D Melville revealed in a Facebook post that Mr Trump's comments had brought forward his decision to retire, Foreign Policy magazine reported. The US president has imposed trade tariffs on some EU industries and strongly criticised Nato allies. A State Department spokesperson confirmed Mr Melville's departure on Friday, saying: "Earlier today, the United States' Ambassador to Estonia, Jim Melville, announced his intent to retire from the Foreign Service effective July 29 after 33 years of public service."